Cool! 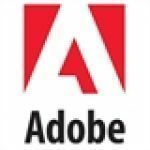 Save an average of 20% on Adobe with 8 Coupon Codes, and 16 Deals! Details: Adobe® Photoshop® CS6 software delivers even more imaging magic, new creative options, and the Adobe Mercury Graphics Engine for blazingly fast performance. Preorder today for only $199.00 or $19.99/mo. Details: 15% off Acrobat XI pro. Expires 11/29/2013. Details: Current Creative Suite Users - Save $20/Month For The First Year On Adobe Creative Cloud. Offer Available To Qualified Registered Users Of Individual Products And Suite Editions, CS3 Or Later. Details: Save Extra 25% Off Adobe Cloud Services When You Shop Student & Teacher Pricing! Valid for a limited time only.